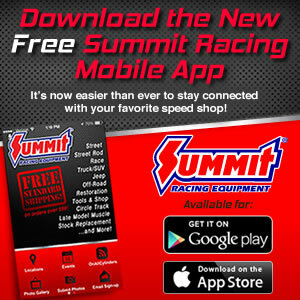 The final race of the 2013 Summit Racing Equipment Pro-Am Tour presented by AMSOIL season is just around the corner and the stakes couldn’t be higher. The race will take place September 20-22 at Farmington Dragway in North Carolina. The unique doubleheader race in Division 9 will be the last opportunity of the season for D9 racers and competitors from outside divisions to claim valuable points in the chase for a Summit Pro-Am championship and a spot in the top three. The top three drivers in each class within each division will automatically advance to compete in the Summit Racing Equipment Tournament of Champions at Memphis International Raceway in October. With so much on the line next weekend, we have decided to post the Summit Pro-Am Tour points one final time to showcase exactly what is at stake for racers in Division 9 and other divisions for racers with claims remaining. Good luck to all racers!